The Spurs have had to sit an wait for 4 days since losing on the road against the Suns last Friday. I look for San Antonio to be all business at home against the Hawks. Not to take anything away from Atlanta, who is a better team than they get credit for, but they are no match for a motivated Spurs squad. The Hawks are also not a great road team. They already lost at Toronto by 7-points and their only win has come at home against a depleted Pacers team. I also think we are getting some value here due to the Spurs not covering in each of their first two games. Keep in mind that San Antonio was a 5-point road favorite at Atlanta and a 12-point home favorite against the Hawks last year. Key Trends – Atlanta is 3-14 ATS in their last 17 off a game where they won outright and failed to cover the spread and 3-13 ATS in their last 16 vs the Western Conference. 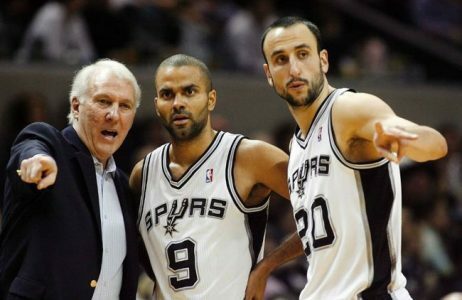 San Antonio is 9-2 ATS in their last 11 home games and 23-12 in their last 35 against the Eastern Conference. BET THE SPURS -7.5! 4x Top 20 NBA Handicapper L6 Years ! Steve Janus is on an AMAZING 12-3 (80%) 5* Top Play Hot Streak and is a DOMINANT 455-369 Over L824 5* Top Plays Overall, which has his $1,000 Players Profiting $47,430! Don’t make the mistake of betting against a proven expert. Cash in a winning ticket on Wednesday with Steve’s 5* NBA Blockbuster Blue Chip Top Play! This special offer is yours for the low price of $35.95 and best of all it’s GUARANTEED TO PROFIT!